A clssic yoke dress pattern w/a twist - NO SET IN SLEEVES! this design simplifies construction & extends wear. 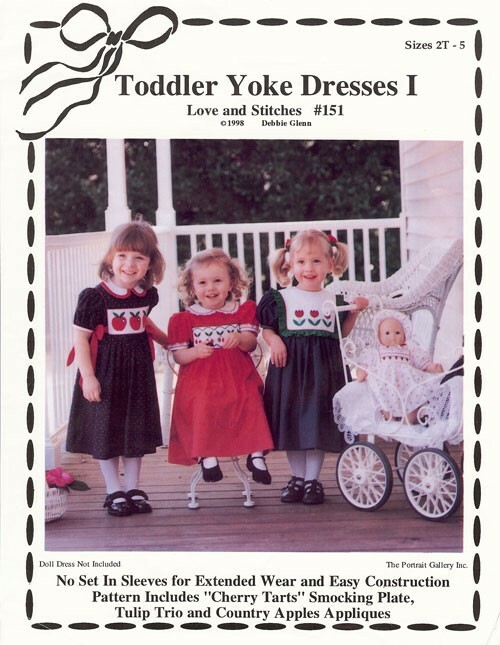 Pattern includes several collar, bodice & sash variations. Embellish the insert w/your favorite handwork or add a contrast fabric bib.